If you are the mum who finds yourself coveting your daughter’s clothes and wishing they made them in your size, or if your daughter wants to be just like you, then this beautiful Etsy shop needs to be your first stop for special occasion wear. Gorgeous Etsy store Ella & Eman is a dream for every little girl who wants to dress like her mum (and every mum who wishes to dress like her daughter). Packed full of delightful special occasion dresses and skirts of tulle, lace, silk, and linen, it is the ideal dress shop for an upcoming special occasion. The tulle skirts, I think are my favourite. I wasn’t much of a ‘girly girl’ as a kid, but with three very girly daughters, maybe this could be my chance to twirl about like a ballerina and indulge my love of matchy-matchy clothing for the kids! 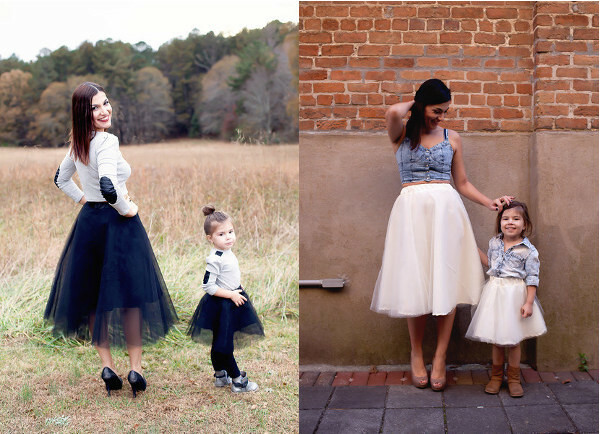 The ‘grown ups’ skirts are $120 and the kid ones are $56. 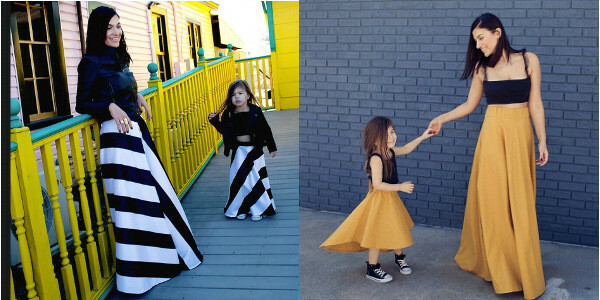 If you prefer a bolder look, it’s hard to go past the floor length striped maxi skirts or the mustard skirt for you and matching high-low skirt for your daughter ($120 for adults and $70 for kids). 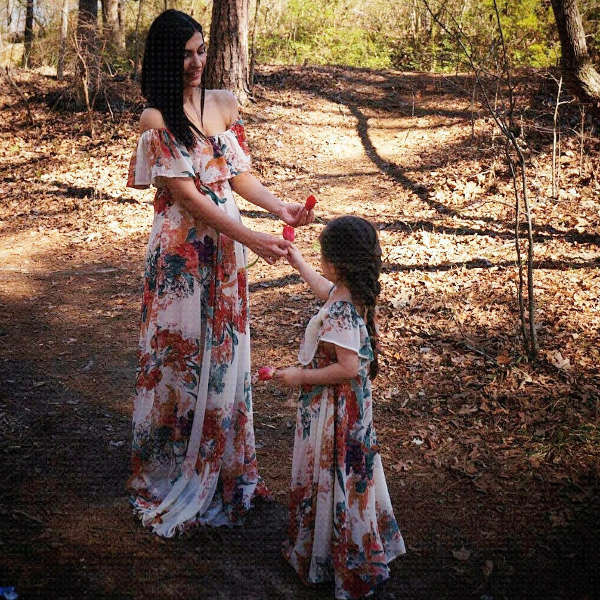 For a summer wedding, perhaps as matching bridesmaid and flower girl dresses, the floral maxi dresses are a lovely, and very affordable, bridal party option at $140 for ladies sizes and $70 for girls sizes. Ella & Eman dresses and skirts can be ordered in set sizes, or made to order if your size isn’t available. All the dresses and skirts are ordered individually, so you can choose ‘mummy and me’ matching outfits or a special outfit just for you or your daughter. The current estimate is that orders will take about a week to be made, and international post is via the USPS first class international shipping, which can take up to 21 business days to arrive. So be sure to be organised if you have an upcoming event.